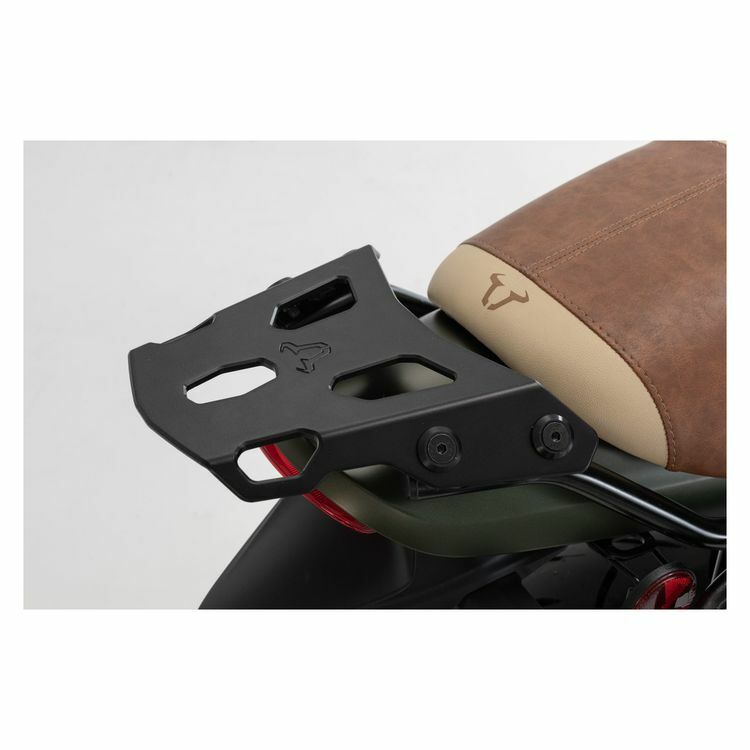 A Street-Rack system bolts to the frame of select bikes and provides a small aluminum platform that accepts a wide variety of adapter plates for different luggage options. This approach keeps your sport bike looking sporty, but allows you to quickly add a top case for a weekend trip or commute. Adapter plates (sold separately) simply latch onto the aluminum plate of the Street-Rack with a central cam lever, similar to a quick release lever on a bicycle. With the corresponding adapter plate in place, you can latch on just about any top case from SW-MOTECH, Givi, Shad or Hepco & Becker. Bike-specific installation kits ensure straightforward installation.